Yes yes, I know you’ve heard it a million times before but we love Plex! One of the best new features over recent months, PlexSync is used with the many mobile devices in our family, it’s such a fantastic way to take your media with you. Here’s a scenario, it’s Friday afternoon and you know you have a long drive on Saturday and you want to keep the kids amused. You can log into your home Plex Media Server right from work and choose a few movies or perhaps some TV episodes to sync to your iPad. Once your selection is made, PMS will automatically begin to re-encode the files to best suit your device. When you arrive home they are all ready for you to sync across to your tablet. Upgrade Opportunity – This duty is currently performed by a 4-year-old Mac mini at the Automated Home. It has served us well but with an increasing load being put on the machine from 4 users and multiple client streaming and syncing it’s time for an upgrade. So what should we expect from the new hardware? Well, as an idea of how much of a difference a new i7 makes over the ageing Core 2 Duo in our old mini here’s a graph pulled from our MacBook Pro with Retina Display Review. So you really can benefit from huge time savings using one of the latest generation of Intel Core CPU machines, never mind the improvement in the number of clients served too. We decided to plump for a new Mac mini. The latest Mac mini starts at £499 for the 500GB dual-core i5, but we opted for the the 1TB quad-core i7 for an additional premium of £180. Solid State – Choosing Apples own 256GB Flash / 1TB combo adds another £240 to the price tag but we thought we could do better. SSD prices continue to fall and we paid just £75 for the 120GB version of the Samsung 840 series SSD. While we were at it we ordered the Crucial 16GB kit (8GBx2), 204-pin SODIMM which was £76. Remember that you’ll also need a PlexPass subscription to use PlexSync (the lifetime sub option is still available). Plex re-encodes your requested files to /Library/Caches/PlexMediaServer/Transcoder – deleting them once the sync has completed, so in truth there’s no need for this machine to keep the 1TB spindle and it would be fine with just the 120GB SSD as all our media lives on the Jukebox Server MkII. 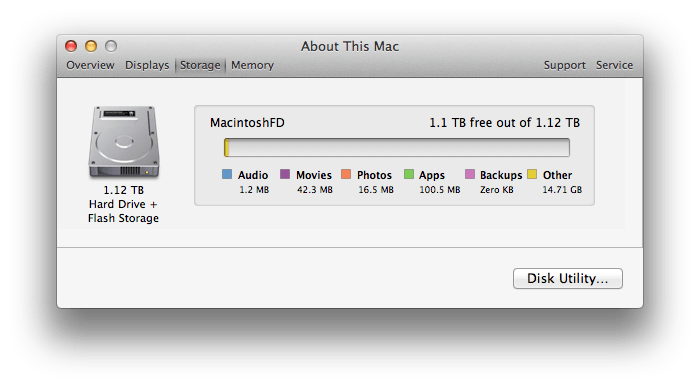 But we didn’t have a use for the 1TB in anything else and hey, it’s a chance to tinker with Fusion drives, but more on that later. Mac minis have a spare drive bay inside but you need a few special tools as well as a second Apple SATA cable to hook it all up. We ordered the $35 OWC ‘Data Doubler’ SSD/2.5″ Hard Drive installation Kit from Other World Computing. It took 2 weeks to get to the UK (via the cheapest shipping method). The kit includes the OWC 5-Piece Mini Toolkit, a Logic Board Removal Tool, 4 Rubber Grommets, 4 Hex Screws, a Mac Mini flex SATA cable and an installation Manual. There’s nothing difficult about the upgrade, although some of the connectors to the logic board are fragile and fiddly. The kit’s printed instructions are excellent and the video (below) is even better. Have a watch through and make sure you are confident before you go ahead and order up the bits. 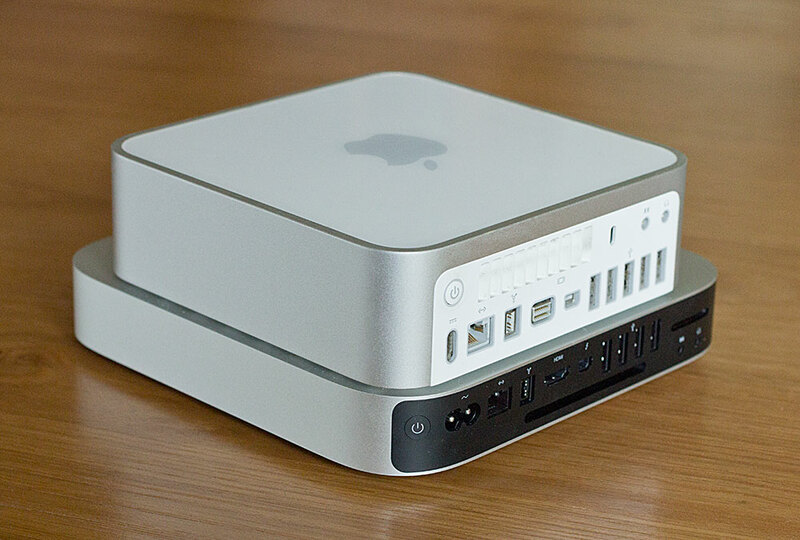 Double Act – Like its predecessor the new Mac mini serves dual roles. 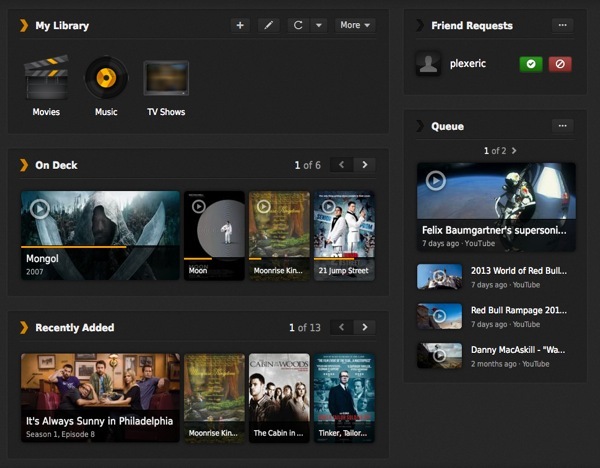 In addition to its media server duties it is also our Plex client on our main AV system. Another nice little upgrade from our old setup is the new mini’s built in full size HDMI port with audio, meaning we no longer have to rig up a separate audio input into our amp (see the video below on how the old mini was rigged up from our 2009 podcast). 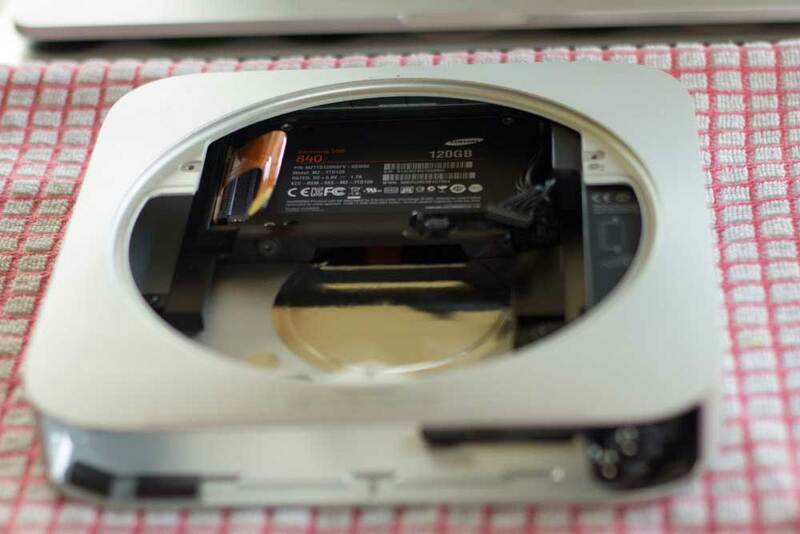 DIY Fusion Drive – Once the machine was up and running it was time to go one step further and merge the two drives into a single ‘Fusion’ volume. Apple’s Fusion drive option maries a traditional spinning hard drive with flash memory into a single volume. Their software also automatically and dynamically moves frequently used files to Flash storage for quicker access, while infrequently used items move to the hard disk. Tip: Grab a copy of the OS X Recovery Disk Assistant and create a USB stick to boot from incase your Apple upgrade goes pear shaped. We created our own volume using the Other World Computing guide, Creating your own Fusion Drive. It’s a simple five minute job to create and format the FD. It’s worth reading the comments on that page as they indicate it may currently only be possible to do this using the version of diskutil that ships on 2012 or later Mac mini or iMacs. No old minis were harmed in the making of this review. The Core 2 Duo has been repurposed as Plex server / client in a new home. The new generation mini Plex Media Server is a beast and the hardware doesnt even break a sweat delivering high bitrate 1080p content whilst simultaneously re-encoding other files and serving streams to iPads, Rokus and all the other clients around the house. All our media serving needs are covered, well until 4K arrives! 5 Comments on "The Plex Media Server and the Mac mini DIY Fusion Drive"
Great write up and read. 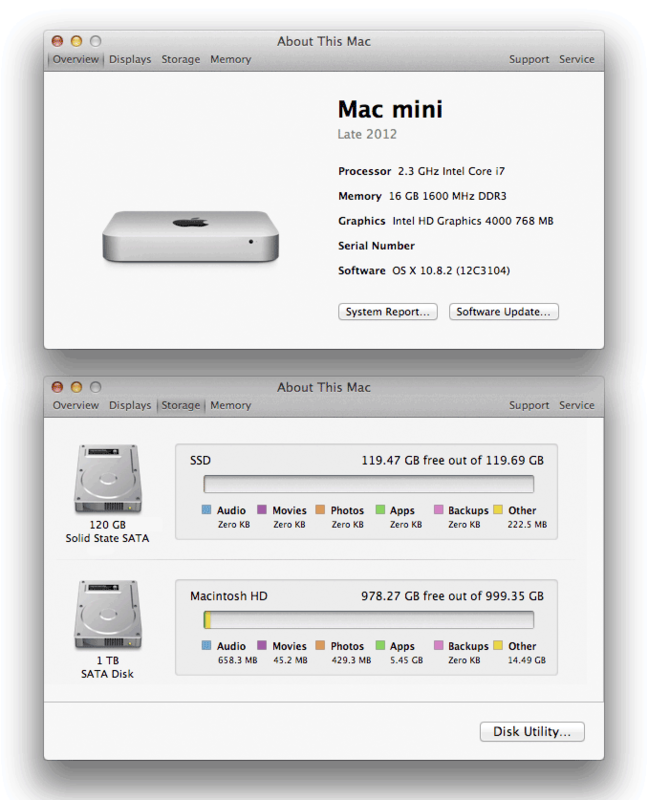 I too have a Mac Mini, same spec as yours but without the “fusion” drive. Plex is an amazing tool. I have the PlexPass account, which is rather helpful. Need to fully implement my movies though and get it all streamlined. I see you are using the web interface, I still use the old client. Which one do you prefer? I’m using the new mac mini but with Win7 and Media Centre mostly as a PVR. Power usage is about as good as it gets. 30-40Watts in standby and very rarely goes over 100Watts. Even when streaming youtube HD videos. Very quiet and fits under the couch. I replaced the main HDD with SDD and use the NAS for general storage. G – I’m using the web interface for the Plex Media Server, the native app was removed a few versions ago. I still use the native app for the client. Tim – yes 24/7. not measured power but see above. Apart from the SSD, pretty much the same setup as me. The only problem I have right now is my wife controlling the Plex HT front end – she doesn’t have a smart phone (luddite!) and since the removal of the ‘remote’, there is no way to pause, rewind, etc. – so I have decided to write a web front end for remote control so she can pop to the loo (getting on, poor old thing… 50 minutes is too long. I tell her it’s all the cups of tea, but will she listen?). Between the Pi’s and the Mac mini, we can stream music and video throughout the house, either individual streams, or ‘combined’ for some weird otherworldly seamless multimedia experience. Living in the third-world, we don’t have much in the way of TV, so this setup and sharing (cough, torrent, cough), gives us access to BBC, ITV, etc., but without ads – Major bonus!